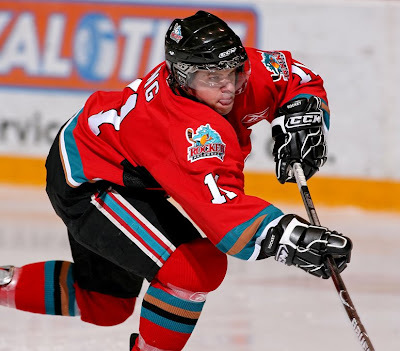 The Rockets have selected 1992 born Finnish player Teemu Pulkkinen in today's CHL import draft. Pulkkinen is a 5'10 - 170 pound left winger. Pulkkinen is undrafted. It won't be easy, but the Kelowna Rockets will attempt to find a replacement for the departed Mikael Backlund in today's Canadian Hockey League import draft. Backlund will play this season with either the Calgary Flames or the Flames AHL affiliate. Pending a trade, the Rockets have the 50th pick in today's opening round. In most situations having the 50th overall selection would be bad news, but the import draft is a different animal. The key to success in this draft is having connections, and a trust built between the C.H.L team and a european agent. Like a smooth talking salesman, the agent will often times stretch the truth on the abilities of the player he represents. These players are often times describes as Ferrari's, yet are nothing short of a lemon. They are clearly no better than what a 16 year-old North American player can bring to a team in his first season of junior hockey. It's up to the CHL teams to see through the smoke and mirrors and make an intelligent pick, sometimes on a player unseen. The Rockets make their one and only pick at about 3 o'clock this afternoon. Only one selection is required, as Stepan Novotny will return for his second season with the Rockets in 2009-2010. 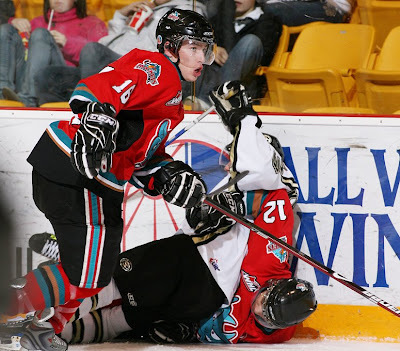 A few pleasant surprises for the Kelowna Rockets on NHL draft day. The selection of Tyson Barrie in the 3rd round by Colorado wasn't one of them. It was a given Barrie would be drafted, it was just a matter of what round, two or three. Barrie is just the 4th Rockets players taken by the Av's at the NHL draft. Luke Curtin (5th rd. 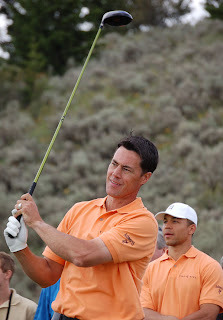 1996), Scott Parker (1st rd. 1998) and Kyle Cumiskey (7th rd. 2005). For his sake, I am glad the Tampa Bay Lightning never drafted him. While it would have made for a good story (Tyson's dad Len is co-owner of the Lightning), I'd prefer Barrie making his mark at the pro level without someone suggesting his father was the reason he was earning a chance at the NHL. No question Len Barrie has been one of the key reasons why Tyson is the player he is today, but the skilled d-man is mature enough and level headed enough to do things on his own. I'm confident that Tyson Barrie will be just fine developing into a pro player. It wouldn't be fair to suggest that Evan Bloodoff was off the radar of NHL scouts heading into this weekends draft, yet his modest offensive totals in his 3rd season in the WHL had you wondering whether teams would be interested enough to use a pick to acquired the playing rights to the Castlegar BC resident. Does he have pro potential? The Phoenix Coyotes think so after picking him in the 6th round. Despite playing at times on the teams fourth line, his ability to close quickly on opposition defenceman and his knack of breaking away from an opponent with lightning speed caught the eye of Coyotes assistant gm Brad Treliving, who made no less than three stops at Prospera Place this past season. You have to feel especially happy for Mitchell Callahan. A tryout at Rockets training camp last fall and now he is associated with the NHL's Detroit Red Wings. Callahan is simply a good news story. When the Wings were making their second to last pick at the draft Saturday, they must have been looking for a player with no fear and someone who has a competitive edge. That player is Mitchell Callahan. Callahan led all WHL rookies in fighting majors with 20, and frankly could have had more had the coaching staff not pulled back the reins to contain his enthusiasm to chuck the knuckles. No question Callahan has many rough edges, but the Wings see a player who will go through the wall for his teammates, a trait you simply can't teach. The Wings have a proven track record of making astute moves late in the draft, and with a little time and patience along the way, maybe Callahan can be playing in Motor City someday. Congratulations to all three players for being recognized at the NHL draft. 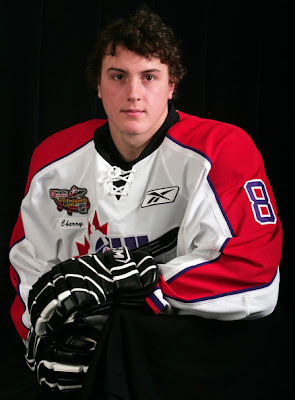 The Colorado Avalanche have selected Tyson Barrie in the 3rd round, 64th overall in the NHL draft. Barrie was the Av's 4th player picked in the draft. It's interesting that Barrie joins Saskatoon Blades d-man Stefan Elliott as players drafted by Colorado. The two are former teammates and were often compared when talking about offensive defenceman heading into the draft. *** Update: Congrats to Evan Bloodoff. The younger brother of Rockets forward Lucas Bloodoff, was drafted today by the Phoenix Coyotes. Bloodoff was drafted in the 6th round. Mitchell Callahan was picked by the Detroit Red Wings, also in the 6th round. 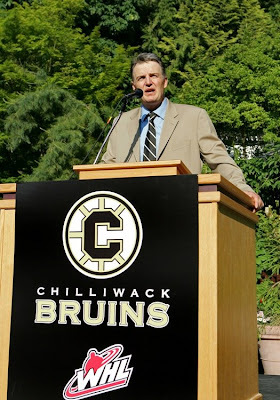 Special thanks to the Chilliwack Bruins, and specifically Jacob Bestebroer for sending me these photos. Click on the photo's to enlarge. Bob Frid is the man behind the great pics. Spencer Main throws some body against the Bruins. Belated happy birthday to Colin Long, who turned 20 last week. Gugg's with the poke check. That puck likely hit the iron and stayed out. "I would love to come out of no where and be selected in the first round, but I don't know how realistic that is. I really don't have any expectations. I was touted as a possible first rounder earlier in the year, but those were very early rankings." Tyson responds to having a high profile dad. Len Barrie is the co-owner of the NHL's Tampa Bay Lightning. "People respect him and I've gotten this far with his help, but from here on out I want to do it on my own without going to Tampa Bay". "I don't exactly think it really matters where you are taken now in the draft. I think it matters in three to five years. It's a little bit of a measuring stick now, but if you look at the record from previous drafts it's not always the top ten guys that are moving on, it's the ones who work the hardest." For the record, Tyson's dad Len was a 6th round pick of the Oilers in 1988. 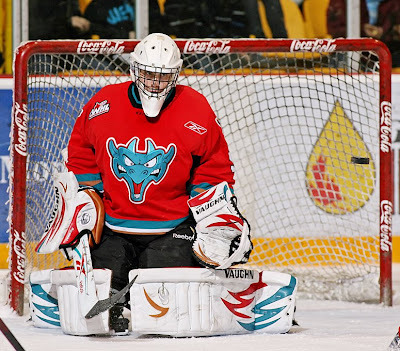 Ryan Cuthbert will be joining Ryan Huska behind the Kelowna Rockets bench this season. Cuthbert signed a new three year deal with the team, in the process, moving from the press box to a perch beside Huska. Cuthbert had an 'in your face' approach with his teammates as a player, but something tells me he will take on the 'good cop' role with the team as Huska's right hand man. That said, Cuthbert hates to lose, and will call a spade-a-spade when he see's a player not pulling his weight. The question must now be asked. Could we see Cuthbert as the Rockets head coach down the road? Only time will tell. Call it an early birthday gift for Ryan Huska. Just 10 days shy of his 34th birthday, Huska has been offered a new two year contract to stay on as the head coach of the Kelowna Rockets. The 33 year-old was offered the new deal Monday after leading the team to a Western Hockey League championship in just his second season at the helm. 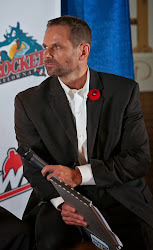 Many questioned the hiring of Huska back on July 25, 2007 when Rockets GM Bruce Hamilton elected to hire from within following the departure of Jeff Truitt. The reason? Lets just say the coaching resume for Huska wasn't a long one. Huska had no prior head coaching experience at any level, something both Marc Habscheid and Jeff Truitt had in their back pockets when they guided the team to league titles in 2003 (Habscheid) and 2005 (Truitt). Yet Huska was able to guide the franchise to it's fourth appearance at the Memorial Cup in 7 seasons, proving that baptism by fire often times brings out the best in a young, up and coming head coach. He now has a chance to work on his golf game. 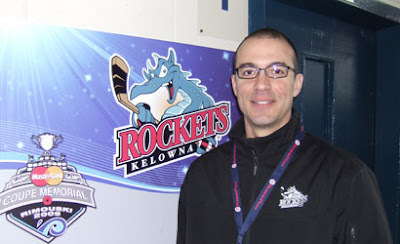 Jeff Finley announced that he is stepping down as the Kelowna Rockets assistant coach. 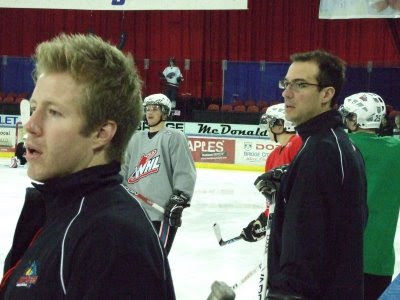 Finley joined the Rockets for the start of the 2007-2008 season as an assistant under then new head coach Ryan Huska. Finley had the pleasure of working with and developing defenceman like Luke Schenn, Tyler Myers and Tyson Barrie. Rockets GM Bruce Hamilton says Finley will remain with the team in a part time role, as a consultant, that requires little to no travel. One of the reasons why Finley is stepping down is to spend more time with his young family. Finley is a father to four children. A replacement for Finley hasn't been named. You can expect assistant coach Ryan Cuthbert getting a promotion with Finley's departure. Prospera Place is getting a new video scoreboard for the start of this season. If the truth be known, the scoreclock will remain, but the new video screens will be housed above the clock and will be tilted down towards the crowd. R.G Properties is expected to have the new video screens in place by the start of the regular season in late September. 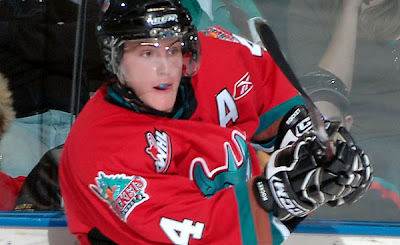 Rockets forward Ian Duval has committed to playing with the Manitoba Bisons next season. The 21 year-old still has the option of attending an NHL training camp as a free agent, but from my understanding he hasn't received any offers to this point. I think NHL teams will have a better idea of how many free agents they can bring to training camp after the NHL draft later this month, so hopefully Duval will get an invite then. I know for a fact that many scouts talked glowingly about his play in the 26 regular season games he played with the Rockets (10+20=30), and the ten goals he put up in 22 post season games also grabbed their attention. What challenges do you see as GM and coach of the Bruins? "I see a lot of challenges. They missed the playoffs last season. 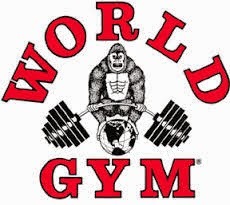 It's a young franchise so we are going to try and build some tradition and make sure we are doing things correctly. I think it's a real good hockey community with a real good facility and tremendous ownership. Glen Sather started me off in my hockey career, and he's one of the owners there, and Brian Burke and Darrell Porter has treated me well through this entire process". With the success you've had at the junior level, many hockey fans will perceive you as a miracle worker now that you have taken the job in Chilliwack. Do you shudder when you hear that, or simply take it as a compliment? "It's a nice compliment but you are judged game by game, so the city understands it's a process and it's not going to happen over night. But I think the most important thing is to have the foundation of surrounding yourself with good people that give you the best chance at success." 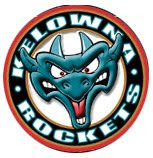 How odd will it be returning to Kelowna for the first time as the coach of the visiting team? "I'm not going to kid you, those games when I am going to have to go on the other bench, those are going to be difficult. It's a special place. Just the memories that are there and what transpired over the time I was there....I was treated like gold in Kelowna. But you know what? I am on the other team now, so I hope they don't boo me too bad and hopefully Bruce (Hamilton) doesn't yell at me too much from the press box like he did in the old building." Will one of the first things you do as a general manager is pull off a trade with the Rockets (laugh)? "Maybe one day Bruce (Hamilton) and I can make a trade...hopefully I would fleece him on it, but I doubt it, but I will do my best (laugh)."